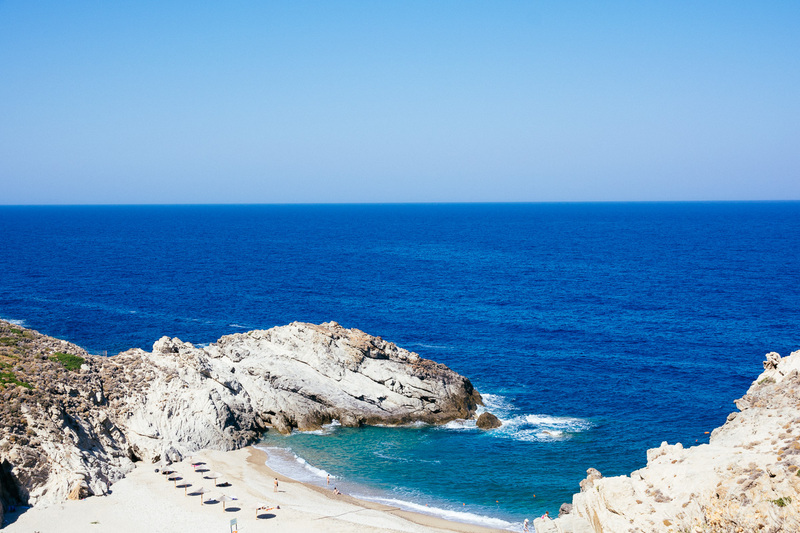 Ikaria is way out there, a plane ride or a long ferry ride away from Athens. It’s one of the Aegean islands, not too far from Turkey and right next to Samos island. In my opinion, it is definitely worth a trip. That’s because it is one of the most unique Greek islands I’ve explored to date and I’ve been to more than 30. One of the first scenes I encountered on Ikaria. I loved photographing this beautiful island. In recent years, this quiet island gained more fame thanks to fascinating studies focusing on the long amazing lives of its locals and the healthiness of the local diet. 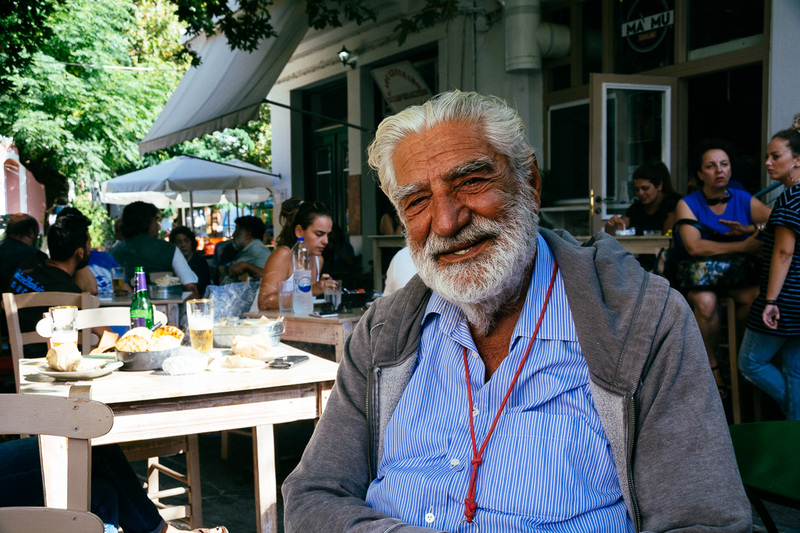 During my time on Ikaria, I gained insight into much more than that. 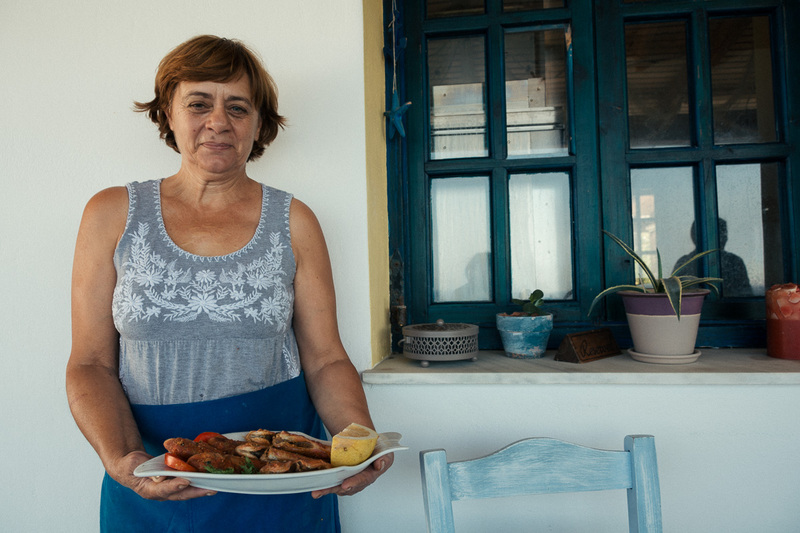 Ms. Evangelia makes amazing meals at her taverna called Naiades in Nas. I experienced a bit of the Ikarian way of life. I chatted easily with wonderful, laid back locals, sipped a good amount of Ikarian wine, ate my fill of the delicious local dishes, soaked in hot thermal waters and meditated on the sands of wild and stunning beaches. I even learned a new-to-me Greek island dance at a panagiri festival. Everyone is out at night on Ikaria. 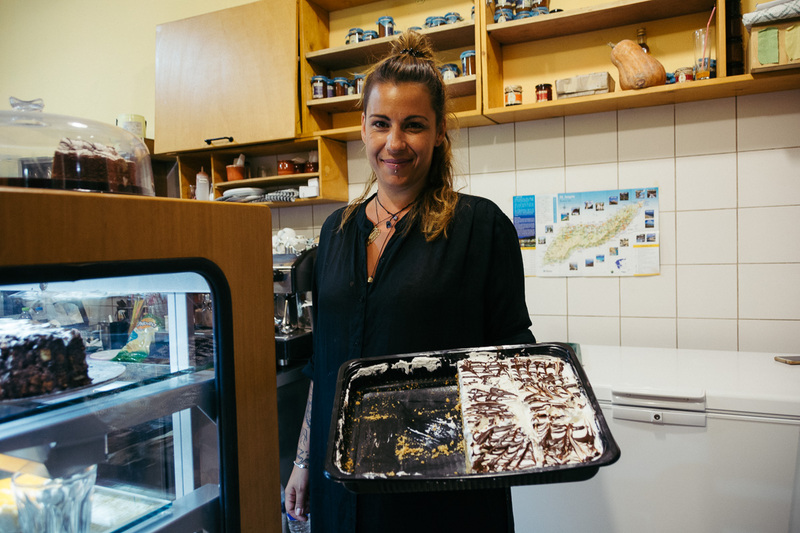 If you are looking for a unique island getaway in Greece, Ikaria is for the curious, adventurous and for the foodie. Here’s my top 10 list of things to do on Ikaria. The moment you step onto Ikaria you’ll be in a famous Blue Zone. It’s one of five places in the world known for people who live long, healthy lives. 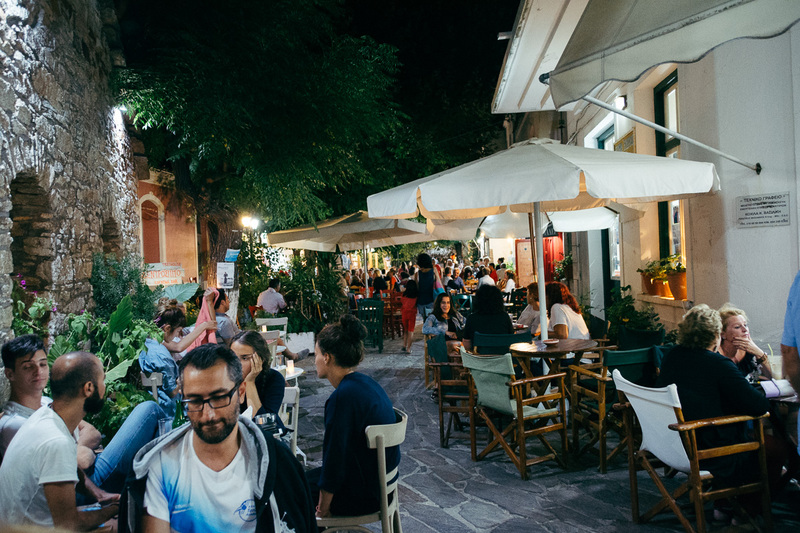 The ways of life here are far from modern Western norms – even to the norms within Greece itself. It seems to be working. It’s common to see people in their 80s, 90s and those above 100 years old living well. At 81 years old, (retired) Dr. Christodoulos Xenakis organized the first Ikarian Senior Regatta. 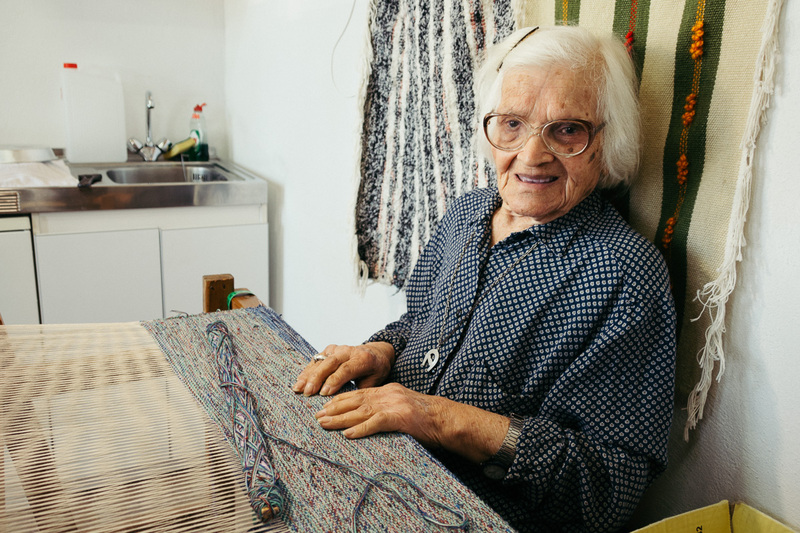 At 105 years old, Ioanna is still weaves every day and runs her own shop in Raches. Ikaria is known for its gastronomy which plays a key role in its standing as a Blue Zone region of the world. The island is known for excellent goat dishes and produces fine honey. 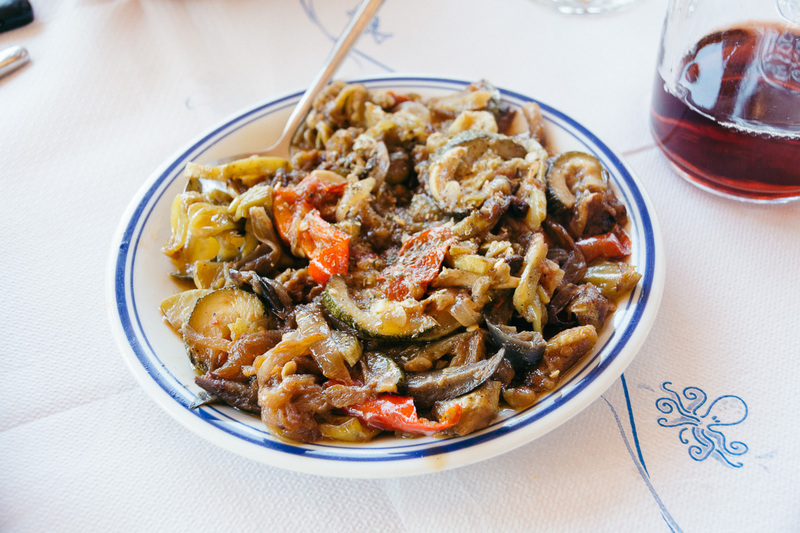 As for local plates, I really loved soufiko which is a cooked vegetable dish stewed with Greek spices, herbs and a generous amount of olive oil. The island is also known for its seafood including freshly grilled fish. 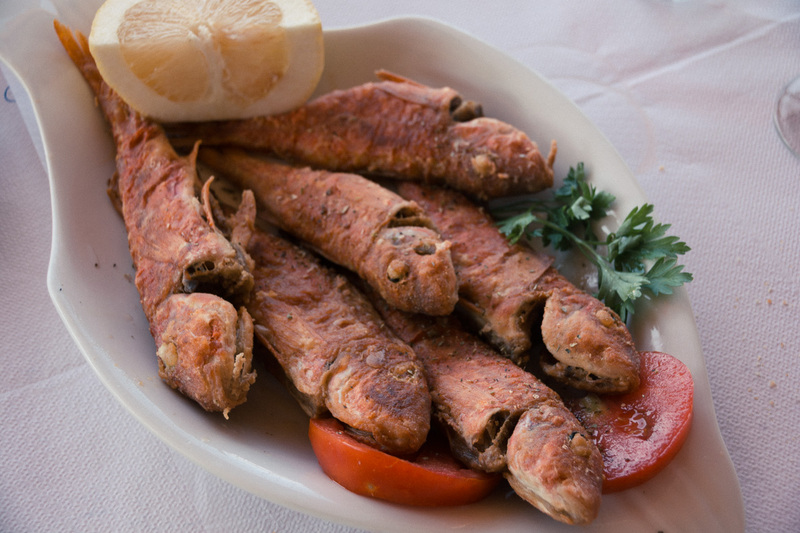 At the Naiades taverna in Nas, we ate amazing red mullet which was caught that morning by a local fisherman. 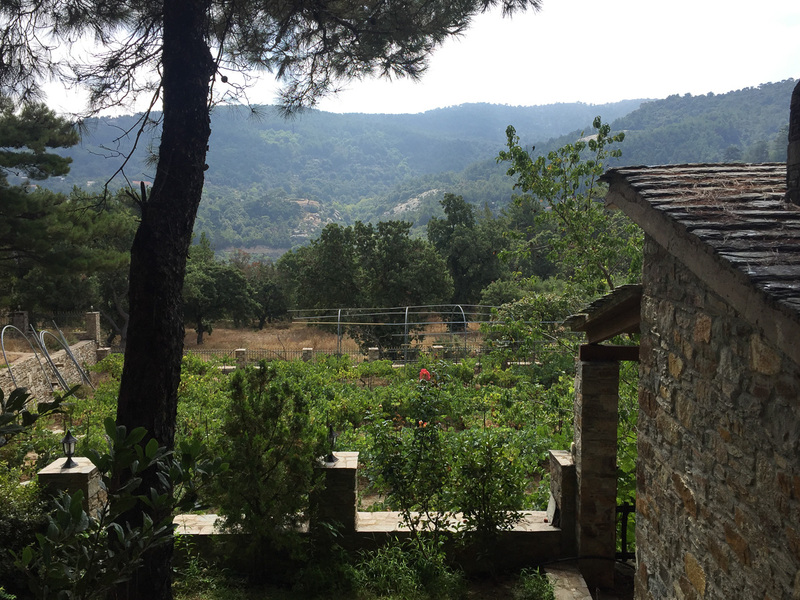 Head to the village of Raches Christos to seek out the Raches Women’s Cooperative. Try local specialties like savory pitas, Greek desserts and more. You can even shop for locally made products like jam and honey. I ate half of this Ikarian cake. Just kidding. If you are fascinated with the kind of lifestyle that has evolved on Ikaria and would like to be in on the secrets of a longer and healthier life, check out the Ikaria Longevity Retreat. 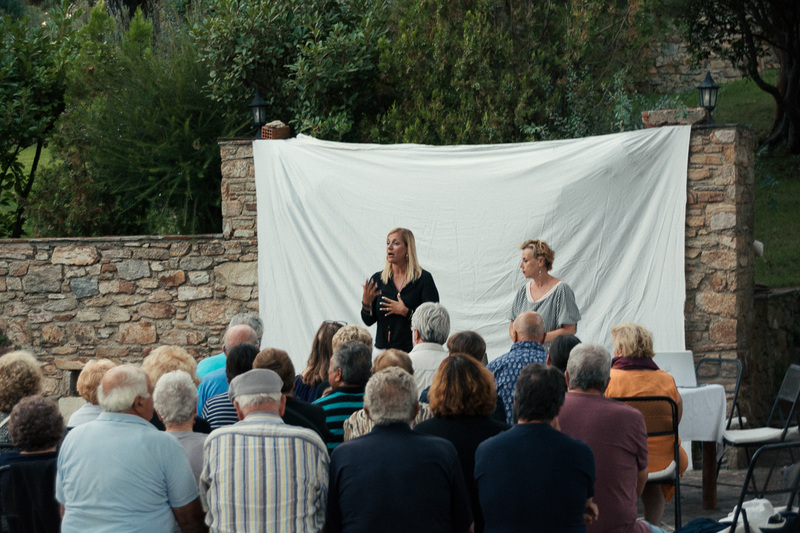 According to the retreat’s founders, Kyriaki Spanou, an accomplished theatre director, and Angeliki Douka, a physical education expert with a PhD to back it up, there are several steps to living long and living well. Through their program, you can apply those steps to your daily living even though your life isn’t permanently happening on a calm Greek island. Angeliki and Kyriaki held a conference to explore how we can all have long and fulfilling lives just like Ikarians. While I was on the island, I attended their sessions and found myself trying out water yoga, meditating in amazing woodsy locations, trying fantastic local dishes at places I wouldn’t have known myself and really feeling the local ways of the island. Ktima Spanou hosts the Ikaria Longevity Retreat. Look at that view! Aggeliki leads a water yoga session at Ktima Spanou. Me after water yoga. Om. Surfing in Greece?! It’s actually one of the top things to do on Ikaria. My Greek surfing friends can attest to that. Surfing season starts at the end of May until late September. The most popular beach for surfing is Messakti Beach on the north side of the island. 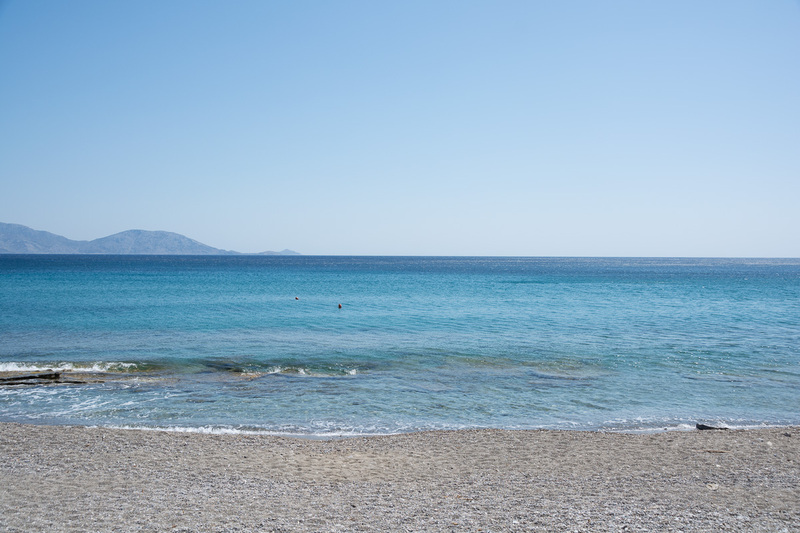 If you don’t care much about surfing, Ikaria beaches are still awesome places to spend your days. Seychelles Beach is considered the most beautiful beach on the island. It’snot the easiest beach to get to. You can reach it by boat or by walking a rocky, 10-minute-downhill path. My local friends also brought me to Nas Beach which had the same kind of hard-to-get-to situation. It was wild and beautiful and it was worth the hike down to check out. Other top beaches include Messakti (for surfers), Kambos, Fles, Armenestis, Karame and Kiparisi. All kinds of hiking trails cross Ikaria. 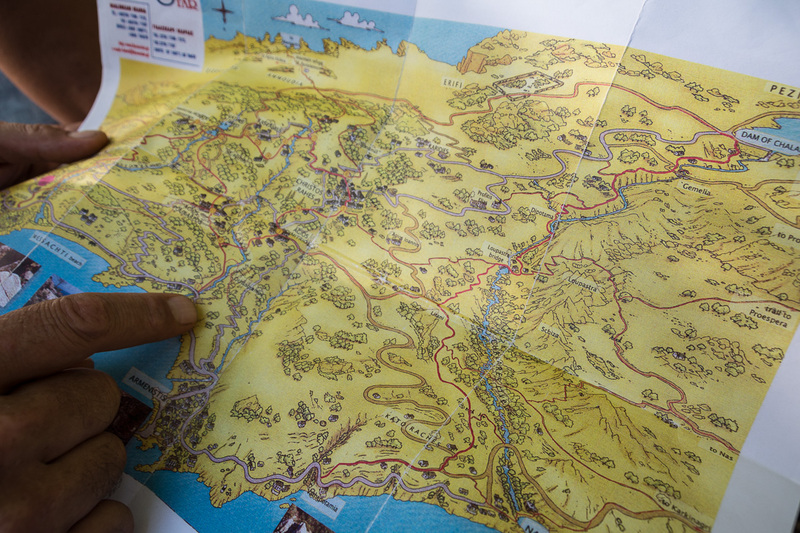 There is a developed network of paths that traverse the island leading from coast to coast and through its mountains. The most popular trail leads hikers on a tour of Raches. 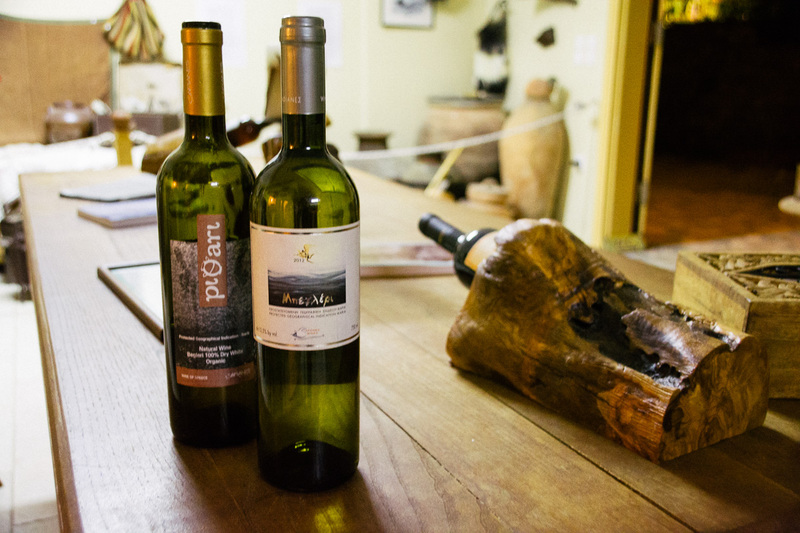 One night I got to experience one of the top things to do on Ikaria: winetasting. My local guides introduced me to the Afianes Winery. For decades, this family-run vineyard has been growing two protected grape varieties called Fokiano and Begleri. At the winery, tables are set outdoors in view of the vineyards so you can even taste wines under the stars. You can also order a food pairing and visit the little museum here. 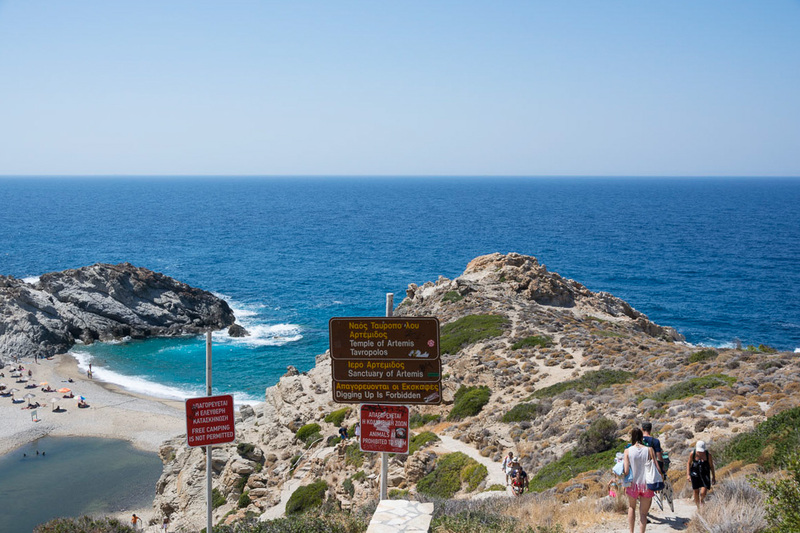 Another one of the top things to do on Ikaria is to visit Therma, a town known for its healing thermal waters. Visitors soak in the water to help with their arthritis, rheumatism and other disorders while others soak just to relax. Soaking in Ikaria. It’s one of the top things to do. At a small and simple indoor complex called Spilaio, you can experience sauna in a cave (yes, a cave!) and take a dip in simple thermal pools. It costs about €7.50 to use both the cave sauna and the thermal pools. Take time out to visit a local village. 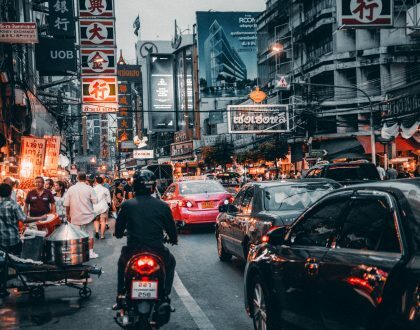 By simply strolling around you can get taste of local life, feel that Blue Zone vibe and sit down to a tasty meal. 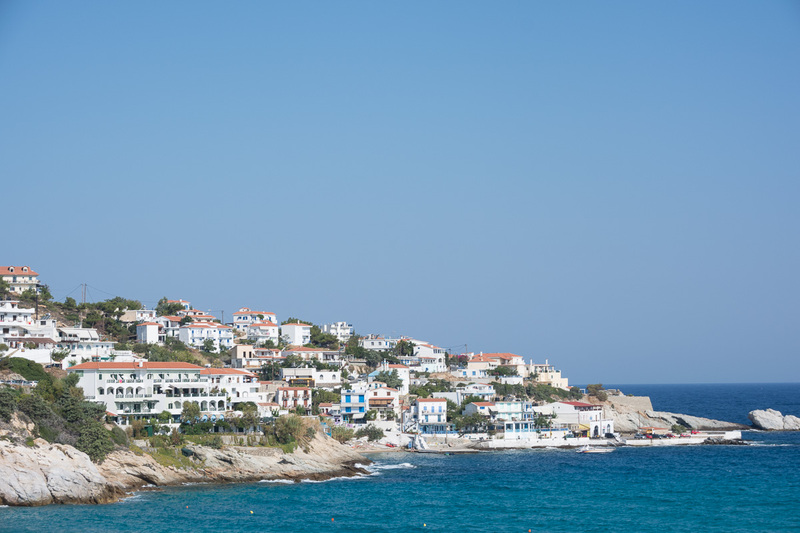 Some of the most popular villages to check out include Armenistis, Christos Raches, Agios Kirkos, Evdilos and Therma. 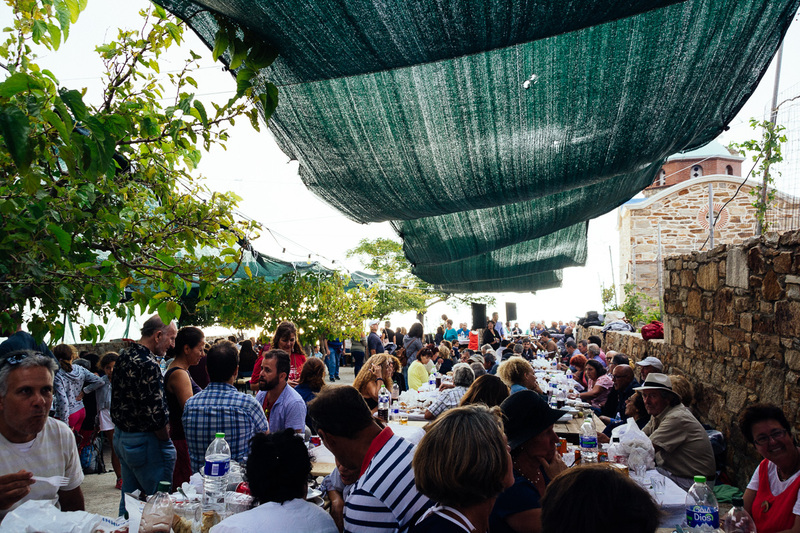 There’s no doubt that one of the best things to do on Ikaria is to attend a panagiri which is an annual Greek Orthodox community event organized by a local church. Being in the thick of a panagiri is an authentic experience to have while visiting the Greek islands especially in the summer. I’d compare it to a really fun – and huge – American block party but with Greek touches. You get to socialize with all kinds of people from the island you might not have met otherwise and eat good food. On top of that, you dance the day and night away. In Greece, Ikaria is famous for its many panagiri get togethers (there are many churches) which welcome thousands of people. You can ask anyone on the island where the church festivals are being held. Entrance is free. You pay for food and drinks, and the prices are affordable. Everyone is welcome. 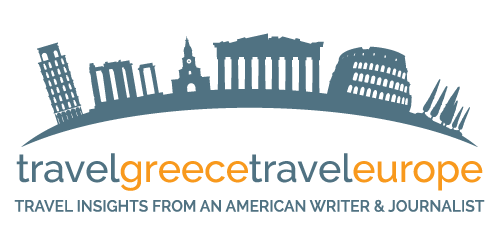 International travelers fly into Athens International Airport. 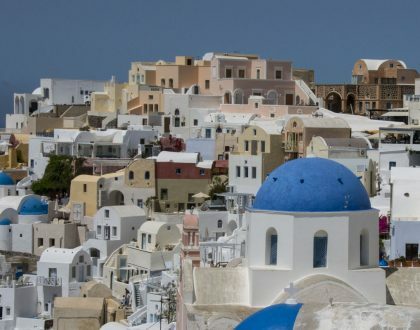 You can find the best flight deals to Greece on Kiwi. 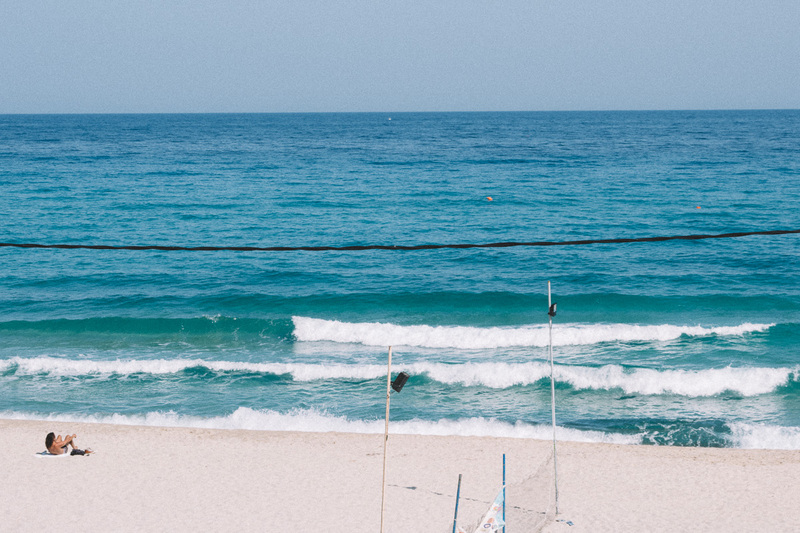 From there, take a connecting flight to Ikaria. The little airport is located near Agios Kirikos. Ikaria can be reached via ferry too. 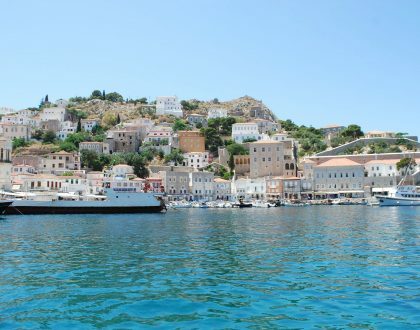 Ferries arrive and depart from the Ikarian ports of Evdilos and Agios Kirkos. The ferry companies that have routes include Dodekanisos Seaways and Hellenic Seaways. Karras Star Hotel – A decent three-star option with breakfast and a pool. Ktima Spanou – A woodsy and secluded boutique getaway. Erofili Beach Hotel – A comfortable three-star beach hotel in beautiful Armentistis village. Atheras – A nice and simple home base in Evdilos. That sums up my list of the top things to do on Ikaria. 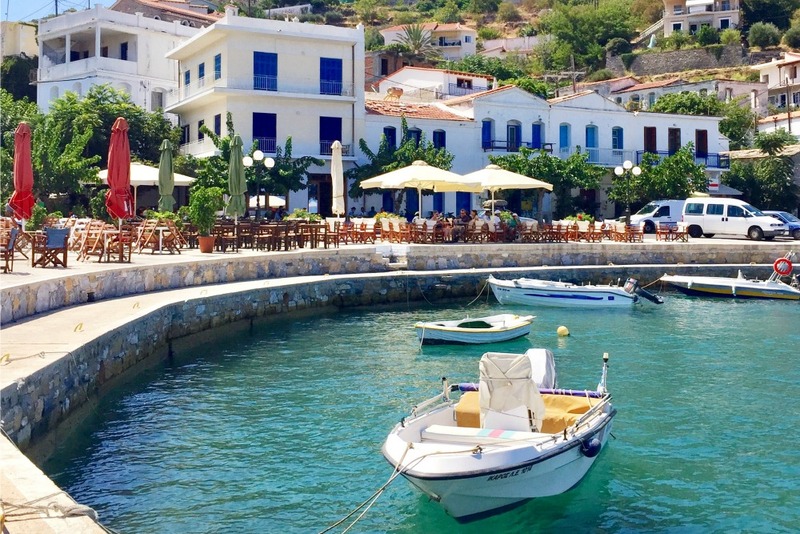 Have you ever heard of Ikaria before? Would you like to visit this island?